For home users one of the main reasons to choose AVG Free is that it offers virus protection that is as good, if not better, than its paid for competition. In terms of virus protection, if you use it properly to run regular sweeps, it offers excellent protection. From the home screen of the program you are given a quick overview of your system status as well as the options that are available to you. The program is very intuitive and easy to use. For example to run a virus scan all you need to do is click “Scan now” from the menu on the left and it will begin. 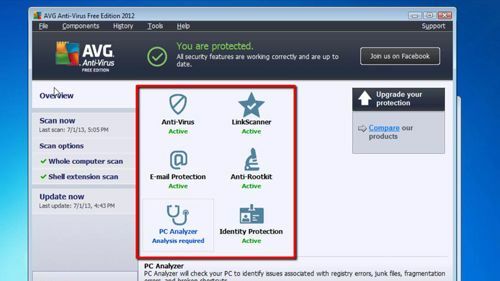 Once the scan completes you will know that your computer is protect from viruses. 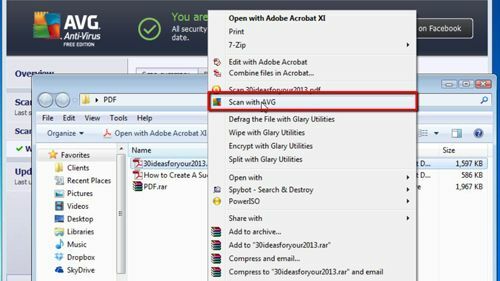 Another great feature of AVG 2012 is that you can scan individual files. This is perfect if you feel you have downloaded a dangerous file. All you need to do is right click on it and click “Scan with AVG”. You will quickly be told that the scan was completed and you can see here that the file has been deemed safe. 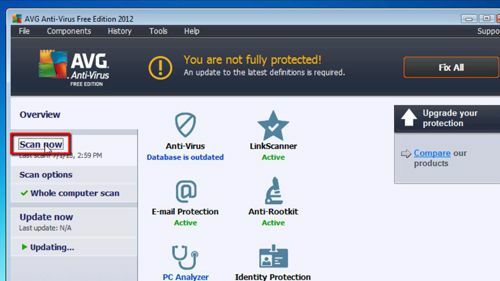 If we go back to the home screen of the AVG 2012 program you can see that there are several other options available, such as a link scanner, email protection etc. These are great additional protections that are great to have, but are not as essential as the solid virus protection that AVG 2012 provides. 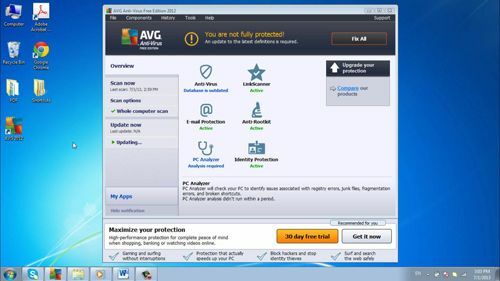 If you keep your AVG antivirus up to date (this happens automatically) you will have excellent virus protection for no cost. This video has just been a quick AVG antivirus review and would highly recommend the program.